BREAD! It's National Zucchini Bread Day! (I know, already?) It's that time of year to start collecting all your recipes! When your garden is overflowing with this great, green veggie, here’s a truly delicious way to use up all that bounty! 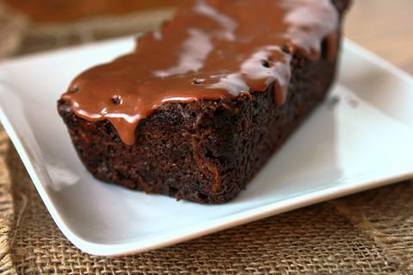 A chocolate cake mix combined with shredded zucchini, chocolate chips, and gets a schmear of a simple, homemade chocolate iced glaze for sheer and utter perfection!